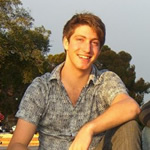 Alex Capecelatro is the founder of VentureRate, a site that enables entrepreneurs to share their ideas and rate others’. His past entrepreneurial ventures have spanned graphic design and marketing, biomedical, engineering, and web development/content. In addition to VentureRate, Alex built LOLbyte, a website that aggregates all the best humor on the Internet. He has an engineering degree from UCLA and has contracted for companies including Fisker Automotive and The X PRIZE Foundation.